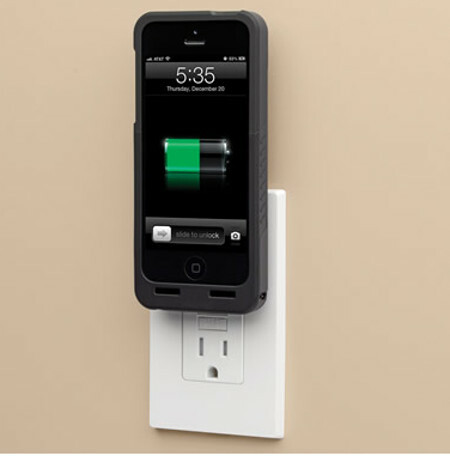 If you do not travel frequently and live a pretty predictable lifestyle where your routine is more or less the same throughout the entire week, then you can give the $69.95 Cordless iPhone 5/5s Charging Case a pass. However, if you have lived the life of road warrior and are an expert at living out of a suitcase, then this particular case for your iPhone 5 or iPhone 5s would be the ideal – nay, essential purchase. After all, it comes with an integrated plug that will deliver convenient charging without having to tote around a power adapter as well as deal with a cord. It gives you one less thing to worry about as well whenever you travel, since there are no cables whatsoever that you can end up misplacing, and the case’s integrated prongs can be flipped out from the back when it needs to be used, and pushed back in flat when you are done charging. Apart from that, it also offers additional protection to your smartphone thanks to a shock-absorbent polycarbonate case which protects the handset with its textured sides ensuring a firm grip for those with sweaty palms. All the while, this case would also leave all buttons, lenses, and ports exposed so that you will not lose out on one bit of functionality.